Introducing Nikki Cruz – a super creative, the ultimate ‘slashie’ – content creator, artist, entrepreneur and Mother of two. 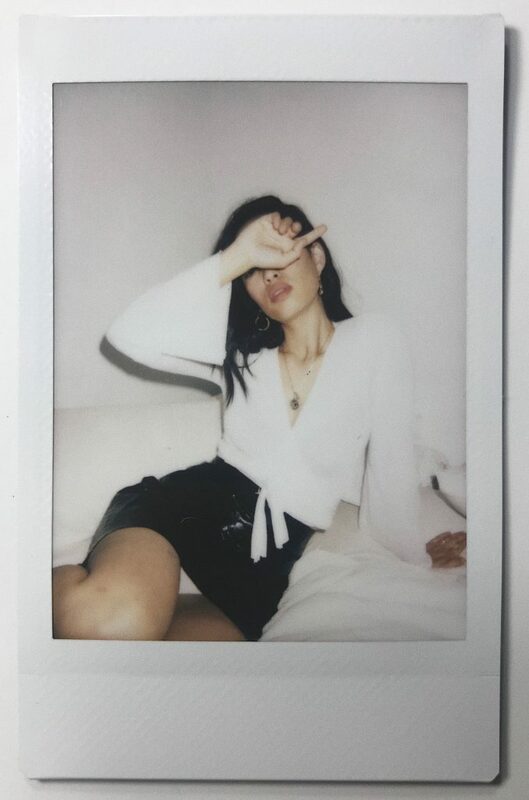 Nikki first captured my eye when I came across her artwork on instagram; then I discovered her artistic flair extends to content creation with an enviable cool-girl style (which you can stalk via her beautiful instagram feed). 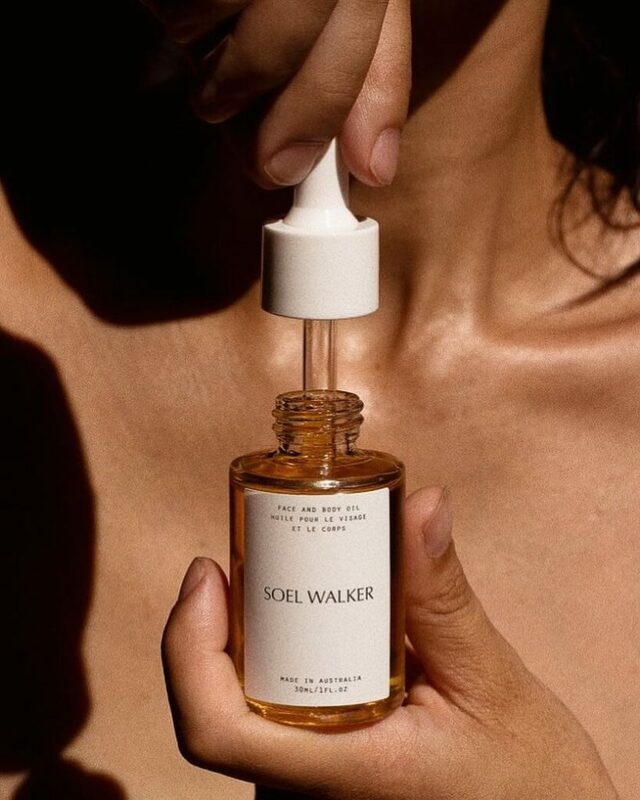 Not one to be restricted by any labels, Nikki has also impressively developed her own line of skin essentials; SOEL WALKER – created in Perth, Western Australia. I’m thrilled to welcome Nikki as a #JERRIJONESmuse and to have collaborated with her on an exclusive collection of artwork. 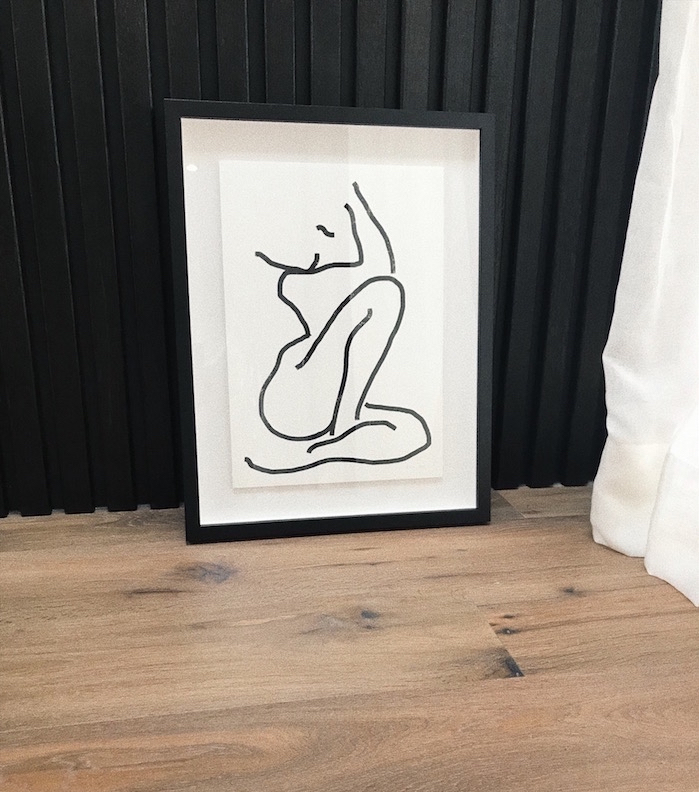 The limited-edition artwork is inspired by the JERRI.JONES woman – I’m also thrilled to be introducing Nikki’s SOEL WALKER products as the first additions to my expanding e-boutique; a curation of luxury essentials for Woman, Mini + Home. I chatted to Nikki to find out what inspired SOEL WALKER, her wardrobe essentials and how she manages her busy schedule and life as a Mother of two. Tell us a little background about yourself. I’m a content creator and an artist. I have a brand called Soel Walker which is skincare, made here in Australia. My family are very business oriented and most own or owned their own business so I’m trying to live up to them and fit in my own way. My Nan who is 102 used to own a farm and sell cattle so if she can make it back in the day I hope I can. Where does the name Soel Walker derive from? It’s a play on words as ‘Soel’ means soul and my soul are my kids. Soraya and Elijah make Soel and I wanted it to be universal because I think everyone has a soul/soel and that unexplainable feeling. Then Walker is the family name, but a walker is everyone, because everyone walks their own journey. I wanted something personal, but can mean something to everyone. How do you think the JJ Woman and Soel Walker complement one another? They’re both about quality and being simple but not basic. Anything but basic. Where did your love of art and creativity come from? What led you to begin your own beauty products with Soel Walker? It started with watching my Dad draw and then finding out my Mum did art also in school. I just wanted to copy them and at one point I actually worked with my Dad as an apprentice tattoo artist. After the birth of my son, my skin was so bad for about 3 years. I tried everything and I was not seeing results and I even tried Roaccutane and laser and it still didn’t work. I researched and ended up making my own products and it just worked, so I just wanted to help others as skin was a huge part in my lack of confidence. When my face cleared up I finally wanted to leave my house. I’ve always been around aromatherapy because my mum studied it so I just went back to what I learned from her. You are a mother of two, please tell us about your little ones. My eldest her name is Soraya she’s almost 7 and my son Elijah is 4 years old. They’re such little characters I usually call my daughter Mum as she is into being grown up and wanting to be a Mum herself, I always have to tell her “Slow your roll kid, you’ve got a long time before you hit that stage of life.” She’s just so independent. My son is so witty, I sometimes can’t keep up with him. He came home the other day and told me he had to sit on the green chair at school. I asked why and he said because he didn’t want to listen to the teacher so went to the naughty chair himself to get away. So very cheeky and stubborn, you cannot bribe this kid! There is always so much talk about parent and work life balance – particularly being a mum working from home. I recently read about approaching it instead as a ‘blend’, which really resonated for me in my own juggle with mine (3.5 and 18 months). How do you blend your priority as a Mum and chase your business and creative goals? When do you get work done? I chose to have kids in my early 20’s because being a Mum was what I wanted most. I had no idea what I wanted to do for a career. I even wrote it in my year 12 yearbook that I would have kids straight away after leaving school. My career and business ventures have only happened within the past year and a half and only the past few months has it been hectic so I haven’t had to juggle much as they’ve both been in school. I work very early in the morning then after drop off and then at night when they’re in bed. Sometimes I have to check myself as it gets easy to get lost in work especially when it’s at home. I work the hours just like a Mum who goes to work. I just don’t have to get dressed up. I did work full-time during the day a few years back but I couldn’t deal and my daughter wasn’t loving day care so I quit and was happy being a mum and being with the kids all day until my youngest hit pre-kindy, then I worked part-time at night while they were asleep, quit mid last year and when my business/career started heating up, so timing has worked really well. Time has been very kind to me. I love your personal style aesthetic. 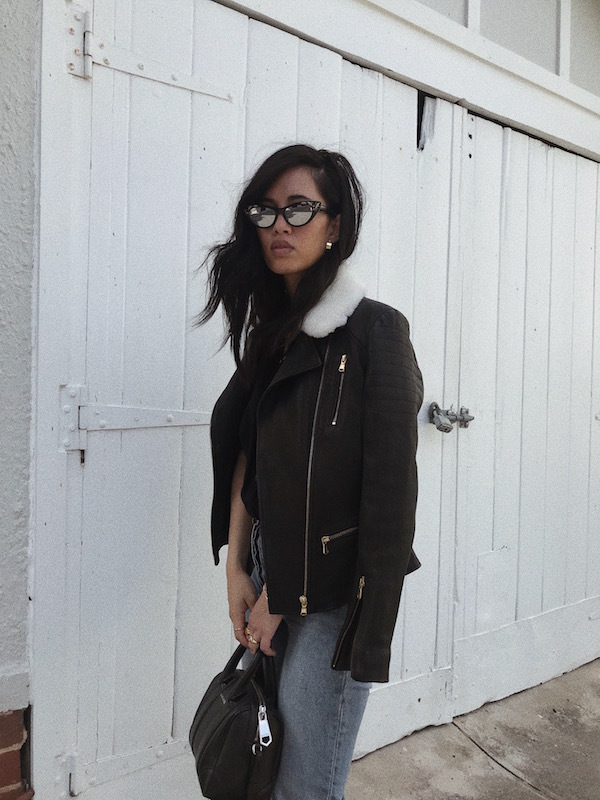 What are your 3 wardrobe pieces always on rotation? High waisted jeans, white t-shirt and converse on rotation – never fails. I am so excited to collaborate on a Nikki Cruz x JERRI.JONES exclusive artwork print. 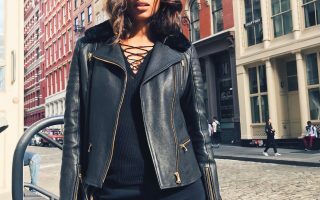 You created your own interpretation on the JERRI.JONES woman – What is your first impression of the JERRI.JONES woman? I’m so excited as well, it’s so nice to work with a brand who’s on the same page as me. She knows what she wants, you can’t change her mind and she will always choose quality over quantity. You can shop the exclusive Nikki Cruz X JERRI.JONES limited edition print and SOEL WALKER here. Find Nikki and view her work via instagram.